I studied abroad when I was in college, and it was the best thing that had happened to me up to that point. Living and going to school in another country takes you out of your element and exposes you to new ways of being, and for that I am forever grateful. But what if my time abroad had ended in tragedy? What if I woke up in a hosptial and had no recollection of how I had landed there or what had happened? Eileen Cook takes a look at that very premise in her young adult thriller With Malice. A girl wakes up and doesn’t know where she is. At least she remembers who she is, Jill Charron, a National Merit Scholar and state debate champion. But how she woke up connected to machines and tubes, an enormous pain in her head and a broken leg, she has no idea. The last thing she remembers is being with her friends Simone and Tara. But when her parents inform her she’s been in a car accident Jill is terrified she’s going to miss her study abroad trip. That’s when the second nasty surprise comes –she’s already been, the accident had happened in Italy. With a traumatic brain injury Jill can’t remember a thing about going to Italy, let alone the accident that put her in the hospital. What really happened? Bit by bit Jill starts to put the pieces together and finds that the truth may or may not be more than she can stomach. Who is Niccolo? And had she and her best friend Simone really been fighting over him? Was the accident all her fault? 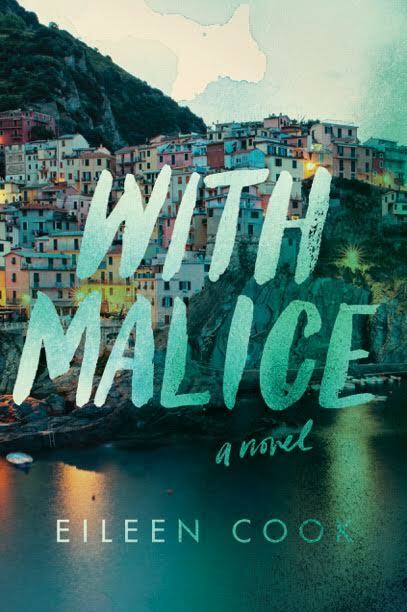 Told with a tense plot that reveals breadcrumbs to lead us back to the real story, With Malice is a twisty, dark thriller. Not knowing who to trust, Jill needs to untangle the fact from the fiction and discover just what part she played in the tragedy, and what really happened between Niccolo, Simone, and herself. There were a few things that came together to form the idea of this book. I’m fascinated with long-term friendships and how they survive and evolve, or don’t. I knew I wanted to write about two friends who had been in a relationship for so long that at times it was hard to tell where the good parts and the bad intersected. I’d also worked for over twenty years in the field of vocational rehabilitation assisting with people with injuries and illnesses. I’d done a lot of work with individuals with brain injury and taking the opportunity to explore identity and relationships when you can’t trust your own memory was exciting. Once I wrote a full draft of the manuscript I knew it was missing something and two other pieces of inspiration fell into place. The first was that I was planning a trip to Italy and it occurred to me to set the book there. I did a semester abroad while in college. It was an amazing experience, but there is something very disorienting about being so far away from home and your own culture. I felt it would give Jill an extra push to explore her friendship if they were out of their current element. As I prepared for the trip I started to read more about the Amanda Knox trial and that motivated me to add the pressure coming from the media- where everyone else is deciding your guilt or innocence based on very little information. The final bit of inspiration came from the first season of the Serial podcast by NPR. (If you haven’t listened- download it- you’ll thank me.) It’s a true crime story about a murder trial that happened in the 1990s. With each person that told their story I would shift my feelings. “He’s totally innocent! He’s guilty! Wait-he’s innocent!” I wanted to see if I could recreate that feeling for readers by providing them with new perspectives that might change how they felt about the story line. What works for me is to spend time plotting and planning before starting to write. Sometimes this includes writing diary entries from different character’s point of view, making timelines, and endless lists. I used to jump in as soon as I had an idea, but I’ve learned it’s better to let an idea ferment for a period of time. Like wine, it gets more complex and interesting if it sits for a while. I usually get up early and walk the dogs or go to the gym before settling in with a cup of tea and getting to work. I’m not creative before eight in the morning or after ten at night. I usually have three or four hours of writing/creative time before my brain gives up. I spend the rest of my day doing more business things, marketing, teaching, research etc. Also looking at random things on the Internet, yelling at my dogs to stop digging in the yard, and drinking endless cups of tea. In some ways I find this an impossible question because I am terrified I’ll leave someone out. From Judy Blume who I loved with a white hot passion growing up, to Stephen King who was one of the first to inspire me to want to be a writer. (Can you imagine two more different writers if you tried?) With every book I read I’m interested to see how that writer chose to tell that story, the decisions they made from when to start the story, to whose perspective to how they increased the tension. I try and learn from everything I read. I don’t believe there is any one (or even two or three) writers that directly influenced my writing- it would be all of them. One of the things that still gives me great joy is standing in a library or bookstore and being aware of just how many great books are out there to read. And writers just keep making more! I love the idea of listening to music, but I find that when I do I tend to start singing along. No one wants that. I sound like someone stepping on a hamster when I sing. I will sometimes play movie soundtrack music in the background while writing. I find the music is designed to invoke an emotion so it can inspire me. For example, if I’m writing an action scene then the Indiana Jones theme song might be on. I’ve recently read two books that I’m excited about. Both are coming out in June and I was lucky enough to get a sneak peek. (There are some benefits to being a writer!) I just finished a book called The Party by Robyn Harding. It’s the story of a slumber party where something goes horribly wrong and how all members of the family unravel after the event. The other book is The Sisters Chase by Sarah Healy about two girls who are homeless after their mom’s death and how far the older sister will go to protect her younger sister. In both books there’s a mix of YA and adult perspectives and I found how the different ages viewed the situations really interesting. Plus they’re great reads! 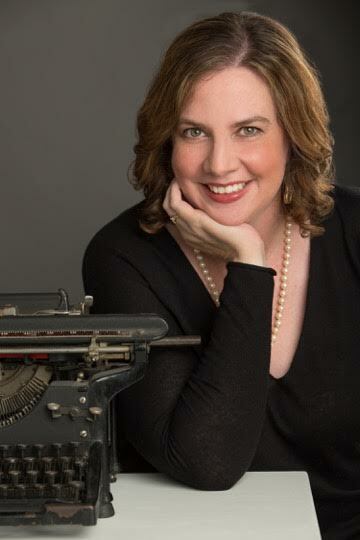 Eileen Cook is a multi-published author with her novels appearing in eight different languages. Her books have been optioned for film and TV. She spent most of her teen years wishing she were someone else or somewhere else, which is great training for a writer. Her newest book, With Malice, came out in June 2016 and was called “a creepy and satisfying thriller” by Entertainment Weekly. She’s an instructor/mentor with the Simon Fraser University Writer’s Studio Program. You can read more about Eileen, her books, and the things that strike her as funny at http://www.eileencook.com. Eileen lives in Vancouver with her husband and two very naughty dogs and no longer wishes to be anyone or anywhere else.